Blue transfer printed toilet bowl or water closet pan in New Chinese Temples pattern by Josiah Wedgood. The body is made of creamware and has almost colourless glaze with the transfer pattern applied only to the inside of the bowl or pan, as it is the only part that would have been seen. The outside of the bowl and plumbing fittings would have been concealed by cabinetry. The impressed maker's mark '1652 A WEDGWOOD' indicates that the bowl was made to Hayward Tyler's specifications and supplied only to H. Tyler & Co. The bowl was designed for hinged valve type plumbing. The toilet bowl has been reconstructed using fragments discovered during archaeological investigations at Lake Innes during the late 1990s. The fragments are held together with white plaster to demonstrate the size and shape of the elaborate bathroom fitting from Lake Innes House. The home built by Major Archibald Clunes Innes was a place where he could lavishly entertain the colonial gentry and manage his vast business interests. 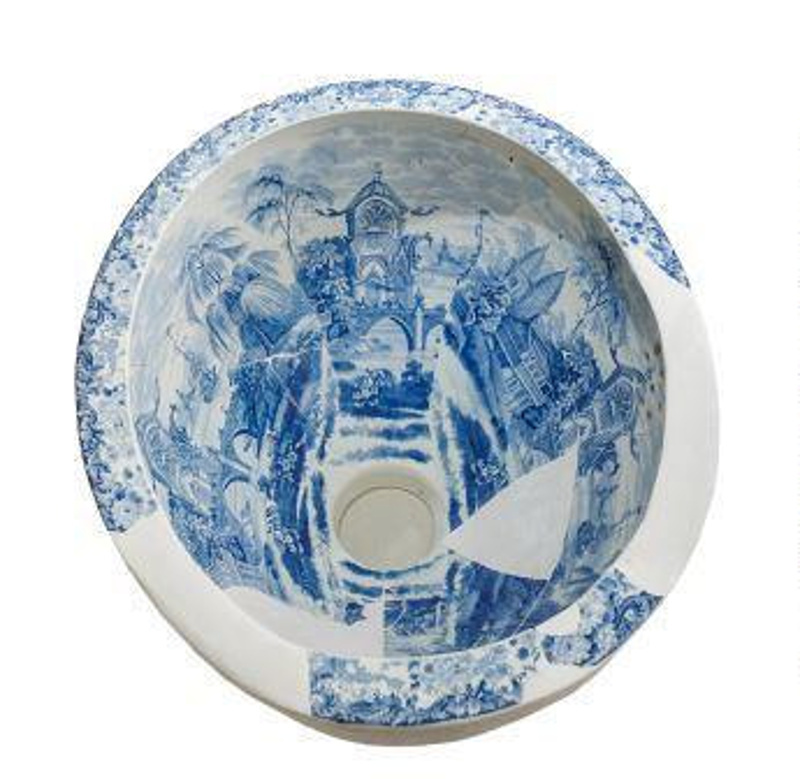 Unlike most other homes in the colony at the time, and especially country houses, this toilet bowl was fitted to an underground waste-disposal system. This is one of two toilets installed at Lake Innes House, the second one has not been found.